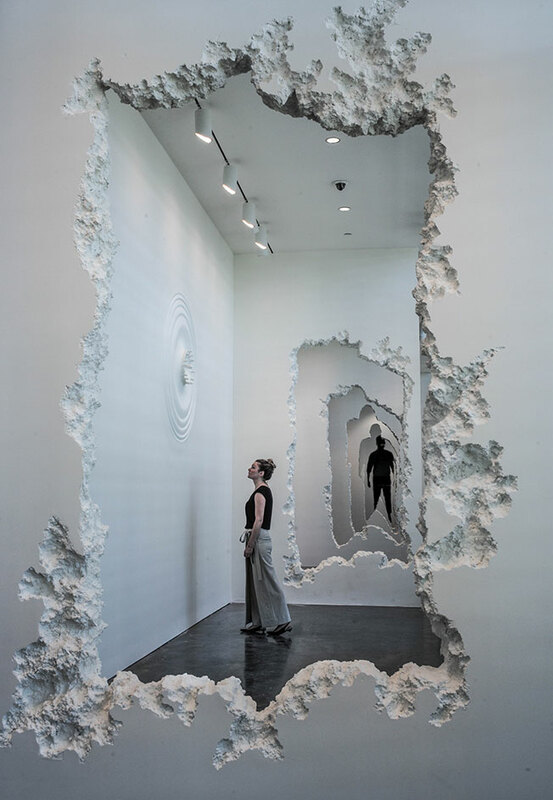 New York based artist Daniel Arsham is currently exhibiting his intriguing collection 'The Future Was Then' at the SCAD Museum of Art in Georgia, USA. The installation was crafted specifically for the museum's Pamela Elaine Peotter Gallery for deFINE ART 2016. The display emits an almost eerie effect with hooded figures and body parts coming out of the walls. 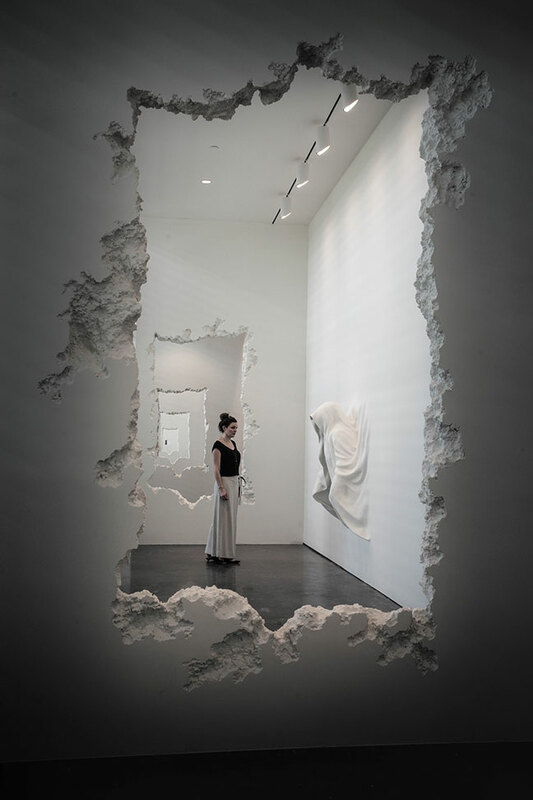 The exhibition space has additionally received specific excavation work that occurred on-site, created with Styrofoam and plaster to produce a series of walls down the 300m hallway. 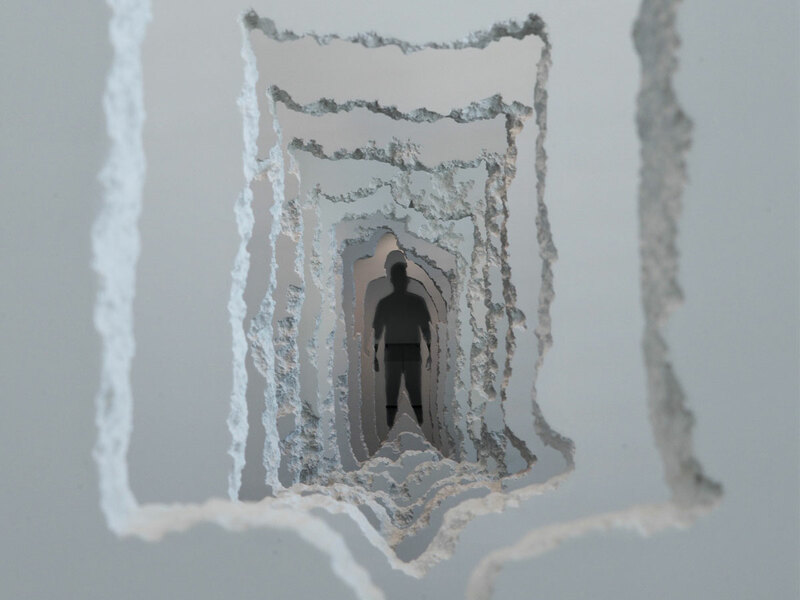 Visitors can engage with the installation by walking among the faux concrete walls that feature jagged edges in the outline of a human figure. 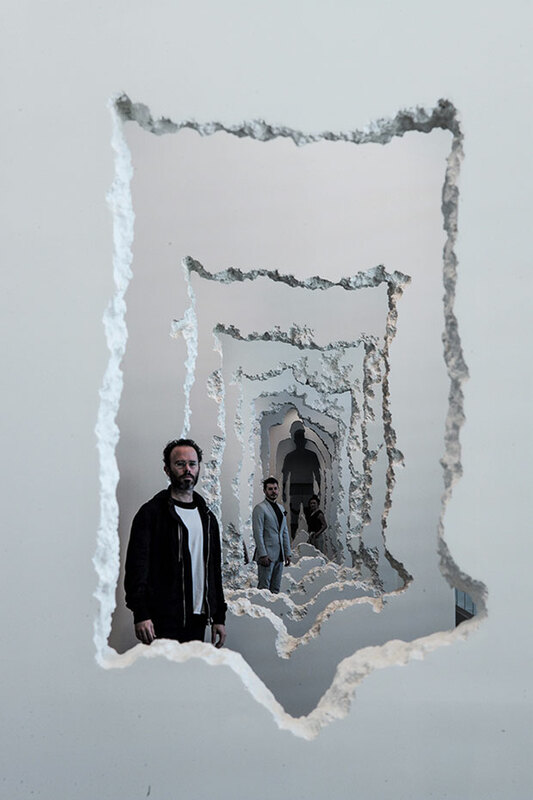 Combining 'Walls Excavation' with 'The Future Was Then', Arsham seeks to explore the relationship between architecture and mankind, honing in on man's ability to create, destroy and refashion both manmade and natural materials throughout history and in the current day and age. 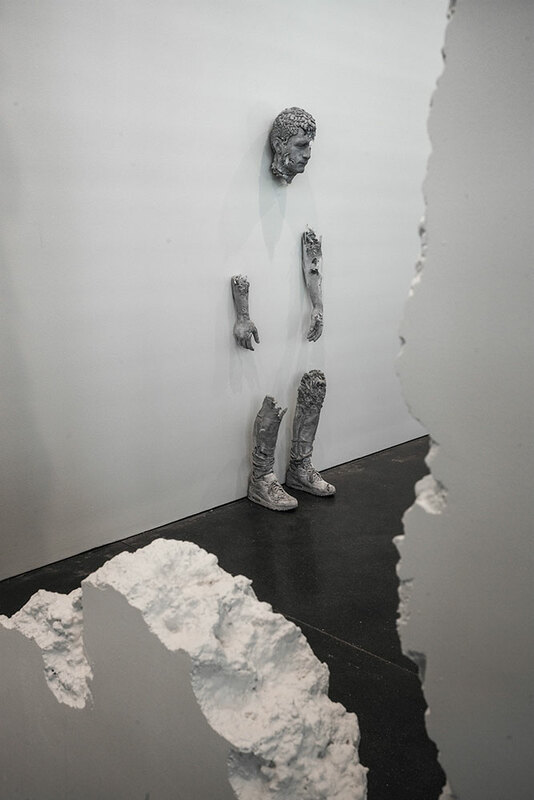 Arsham has implemented a variety of materials in his work including volcanic glass, steel fragments, selenite, volcanic ash, fibreglass, hydrostone and paint. 'The Future Was Then' is running from February 16 - July 24 2016 at the SCAD Museum of Art in Savannah, GA.